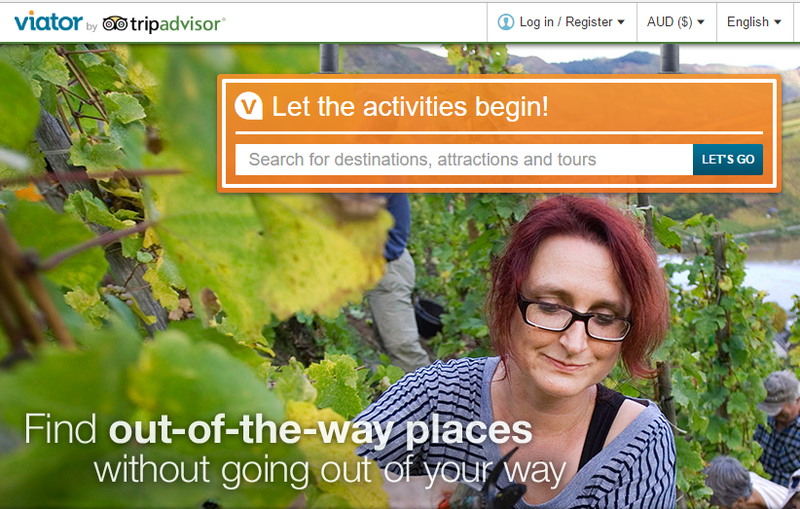 Viator, a TripAdvisor company, is the leading global tours and activities provider for travelers. They reach 350 million travel planners every month through Viator, TripAdvisor, 3,000 affiliate partners and over 175,000 travel agents. With their global advertising programs on Google, Bing and Facebook, they reach customers speaking 10 different languages and 13 currencies. There are a few things you need to do before you get listed on Viator, following the steps in this article will increase your chances to be listed. Become a Viator supplier to increase your sales by distributing your products to 350 million monthly travel planners on Viator and TripAdvisor and over 175,000 travel agents. Be part of curated trip activities including tours, attractions, shore excursions and private guides, in more than 1,500 destinations worldwide. Reach international customers through Viator’s websites in 10 languages and paying with 13 different currencies, and through their global advertising programs on Google, Bing, Yahoo and Facebook. Viator automatically shares your availability with TripAdvisor. When you become a Viator supplier, you automatically receive a “Book a Tour” or “Check Availability” button to your TripAdvisor page. Viator reaches the traveler that hasn’t decided what they want to do in your destination. Travelers looking for “things to do in San Fransisco” will see Viator first. Viator can make this listing profitable as they have a wide variety of things you can do. Individual suppliers will experience a bad return on investment ranking for this keyword, as the travelers might be looking for something completely different than the tour or activity they offer. Travelers that visit Las Vegas know about the casinos, shows and the nightlife. But thinking about Las Vegas you wouldn’t necessarily think about the indoor skydiving you can do during the day. There is a huge audience visiting Las Vegas that is unaware of this activity. Becoming a Viator supplier would put your product in front of this audience (travelers who don’t know of your existence). When someone is looking for “things to do in Las Vegas”. You want to make it on this list, to attract people you would never be able to attract yourself. Because you only pay Viator per booking, and not per appearance in the list, you can reach the undecided traveler while keeping a good return on investment. There are several things you have to account for to become a Viator supplier. Not every tour operator will be listed by default, but if you can offer the following, we think you’ll improve your chances. Viator/TripAdvisor offers its customers real time booking confirmation. This means you need to be able to provide bookable spots for your tours or activity in real time. Viator provides a calendar for tour and activity operators where they can update and manage their availability. Alternatively, most booking software providers (including Rezdy) have an integration with Viator, so you can link your availability from your software with Viator. Allow last minute bookings and specify how many hours before the tour starts can customers book with you. Of course you need enough time to prepare your tour before people come, but keep your minimum notice as close to the starting time of your experience. Viator attracts a lot of last minute bookers that are looking for something to do on the day. You want to make sure your products are available to book, so make sure to push the minimum notice as close to the starting time. Not only technical, but also in the customer experience. For starters your booking software should have a solid API integration with Viator. You’d want to avoid manual work as much as possible. When sharing your availability with Viator, you want the booking information pushed into your booking software, so it automatically populates your CRM, sales reports and manifest. This will avoid lost customers and makes it easy to keep control over your bookings, even when it’s a large volume. Schedule your availability for 2 years. Make sure people can book 2 years in advance. It’s good practice to make sure all your availability is published across as many channels as possible. But make sure it’s also available for a long time. The earlier you fill up your tours the better. Viator attracts a lot of people exploring your destination. Travellers that want to know what they’ll get to see and do in your destination before they book their hotels and tours. Some travellers take up to 2 years to prepare their trips, so make sure you always have the availability to attract them to your destination. A picture says more than a thousand words, and makes your product stand out of the rest. Be aware that your product is listed next to your competitors’. The best picture is likely to receive the booking. Having nice high resolution pictures and videos will help you stand out and make your listing always look professional, no matter where it’s being promoted. Spend some time to write a special description for your tour specifically for Viator’s listing. 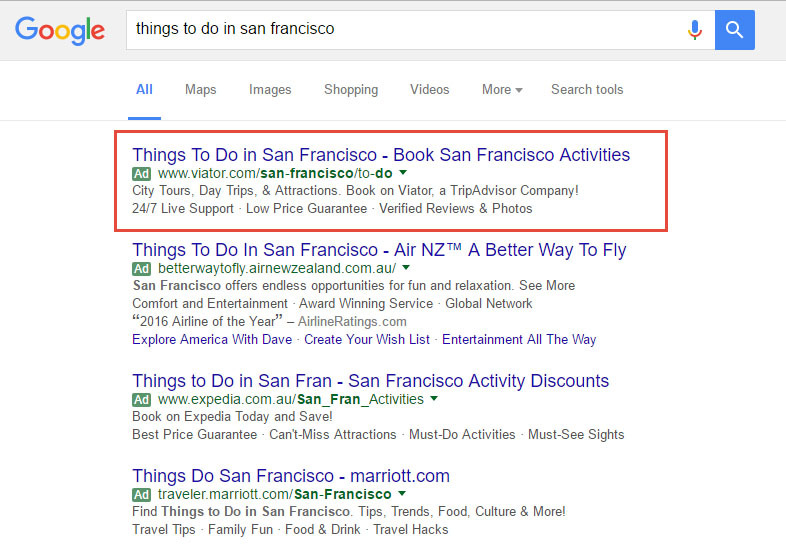 OTAs want unique descriptions because they are easier to get to the top of the list of search engine responses. Look at the listing of similar products already live on Viator, use this format. Don’t include inconsistent symbols, special offers or your email address when you submit it. Being a Rezdy customer will not guarantee that you will become a Viator supplier, however Viator prefers tour operators using a real-time booking software provider that is integrated with them, as it will allow Viator to provide a better service to their own customers (thus, we strongly recommend you to mention Rezdy in the application process). Besides that, there are two other reasons to use Rezdy to integrate with Viator. Firstly, when you receive a booking from Viator, your work has only just started. They’ll send you the customer information and the booking details, but you’ll need to manually import them into your manifest, reports and CRM. With Rezdy, all of this information is automatically pushed to all of these platforms. This saves you time and also ensures that you never forget a customer or forget a payment. Secondly , When building your distribution network to 10 or even 400 agents, you’ll find out, managing this network is a lot of work. Rezdy’s Channel Manager simplifies this. It doesn’t matter how many agents you have, you can update your availability for all of them in one app. This allows you to have a large distribution network. With Rezdy, you can connect with most agents in the tour and activity industry. Rezdy allows you to update your availability from one screen, which saves you time and enables you to get more agent connections and fill up your total capacity.